Sergeant Carl Hille was killed when a gas line exploded on Sycamore Street. Sergeant Hille responded to the report of gas at the Hodge Drive-it-Yourself Co. at 511 Sycamore Street between 6th Street and 7th Street. As he walked into the building the gas exploded. 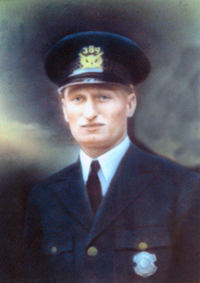 Sergeant Hille's body was hurled fifty feet in the air, over the Saint Xavier Grade School and ending up in an alley behind the Convent of Notre Dame. He was killed instantly from a comminuted skull fracture. Four others were killed and sixteen others were injured, some critically. Sergeant Hille had been a legendary fast-pitch softball pitcher. In 1922, he started 69 games and lost only one. In 1954, the Cincinnati Recreation Commission converted what was once known as Lucky Circus grounds into a baseball field and in 1960 dedicated the field in Sergeant Hille's memory. Over the years the field fell into disrepair. During the mid-1990s Elder High School repaired the field and used it as its home field. On April 18, 1998, the field was rededicated as the Carl F. Hille Memorial Field. Sergeant Hille had served with the Cincinnati Police Division for 13 years. 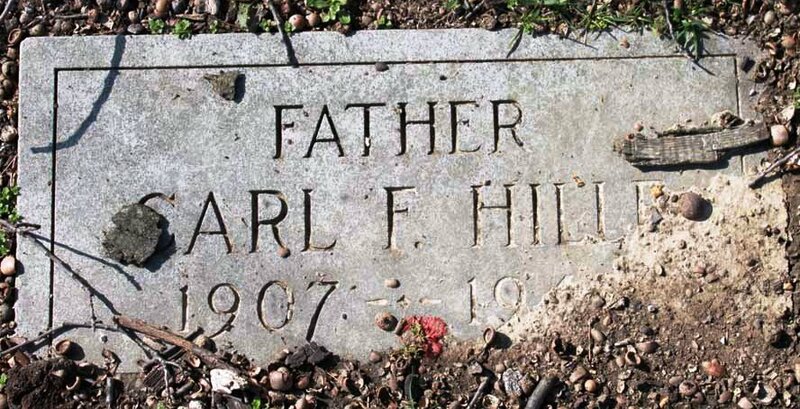 He was survived by his wife and four children and is buried in Vine Steet Cemetery. Sergeant Hille had been a legendary fast-pitch softball pitcher. In 1922, he started 69 games and lost only one. In 1954, the Cincinnati Recreation Commission converted what was once known as Lucky Circus grounds into a baseball field and in 1960 dedicated the field in Sergeant Hille's memory. Over the years the field fell into disrepair. During the mid-1990s Elder High School repaired the field and used it as its home field. On April 18, 1998, the field was rededicated as the Carl F. Hille Memorial Field. Sergeant Hille's grandson joined the Cincinnati Police Department in the 1970s and retired as a Police Sergeant near the turn of the Century. Sergeant Hille's great grandson joined the Cincinnati Police Department as a Police Officer in 2004. NEVER FORGET! On behalf of the Westerville, Ohio Division of Police, we honor the dedicated service and ultimate sacrifice of Patrolman John M. Donnelly of the Springfield Police Department, Ohio and the additional 58 American Peace Officers who have paid the ultimate sacrifice on this date in history.